Joanne has always had a love for animals, growing up in a house that always had a cat or a dog. Bringing home many a stray to look after, her love of animals lead her into voluntary work at the age of 16 in a local vets. From here she gained a strong passion for the care and welfare of animals that lead her to London in 1998 to train as a veterinary nurse, for which she qualified in 2000. She worked in a top level veterinary hospital until 2002 when her fierce dedication to animals lead her to Australia where she worked in numerous veterinary hospitals and used her skills hand rearing ringtail possums and kangaroos orphaned in bush fires. While in Australia she also studied the wild dingos and her canine behavioural studies began. 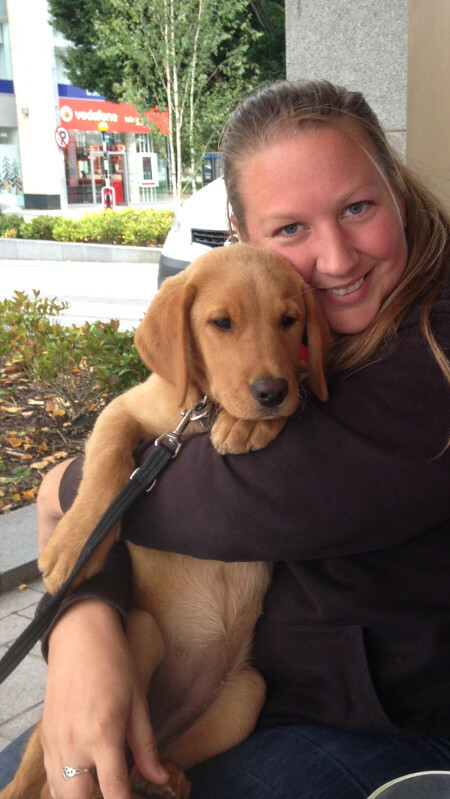 On her return to Ireland Joanne continued with her veterinary nursing, but her love of dogs lead her into continuing her professional studies with the world renowned, leading canine behaviourist John Rogerson. John has pioneered the majority of techniques that have now become standard practice today. In 2004 she started studying canine training and behaviour with him at the Northern Centre for Canine Behaviour in England. She successfully completed a higher-level advanced course in canine behaviour, including puppy development, specialized training, behaviour modification, aggression, obsessive-compulsive disorders, stereotypes and behavioural testing. Over the following years she also gained certs in canine rehabilitation, counselling, aggression,and behaviour testing. She gained much of her experience in canine training and rehabilitation with many of the abandoned dogs in the famous Battersea Dogs Home, London. She continues her studies to the present day, always saying “you are never finished learning”. 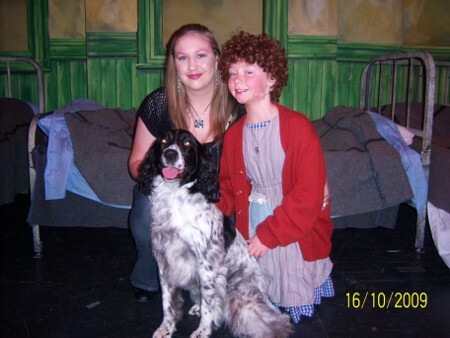 Joanne has recently started training dogs for the stage – previously Shona was “Sandy” in the musical “Annie” in 2009 and returned as “Bullseye” in the Dundalk Musical Society’s 2011 production of “Oliver”. Joanne also trained “Toto” in the “Wizard of Oz” (2010). Shona made her grand return to the theatre when she starred as Sandy once again in the Ratoath Music Society production of “Annie”, May 2012. Her new dog Ella is showing great promise at such a young age, she loves to swim, and do agility. 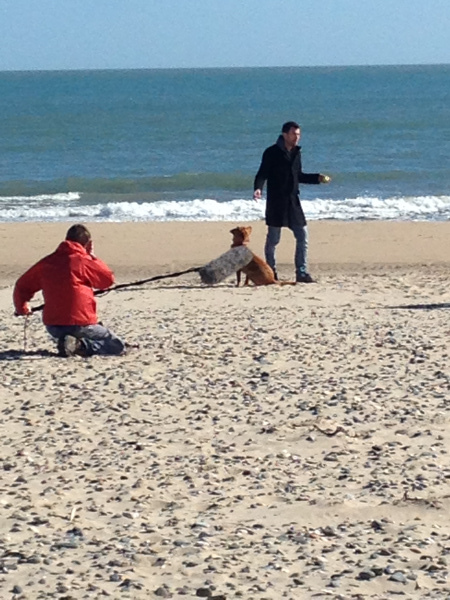 Ella has already starred in an Irish film, “Lead us not”, released in 2016. 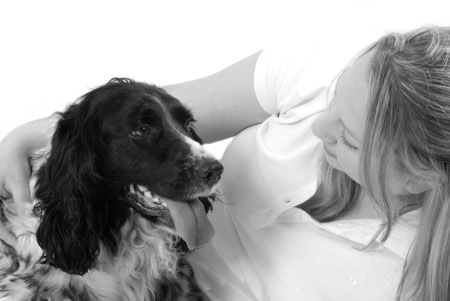 Joanne’s main passion is to make the lives of dogs happier and healthier, which she feels she is achieving through her veterinary nursing and dog training skills. She is dedicated to helping people understand their dogs better, building a happier and better bond for both, and making the dog a valued and much loved member of the home.